Below is a guest post that we wrote for the NationBuilder.com Blog, you can see the original here. The cliché of governments as overwhelming and impenetrable bureaucracies is as old as government itself. It’s not for nothing: too often the same governmental protocols that are meant to encourage active citizenship actually end up discouraging participation and engagement. 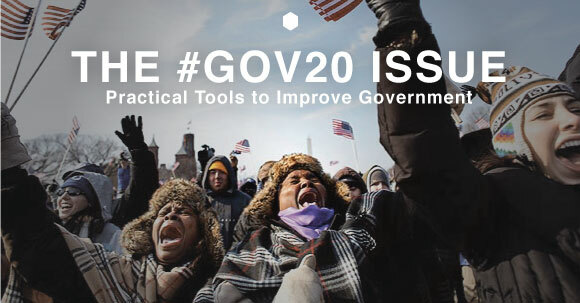 How can governments be truly responsive to citizens if they don’t engage citizen voices? Government on the web is seldom any different. Whether serving as dumping grounds for reports, unnavigable messes of links and content, or generic electioneering platforms, sites for governments and politicians frequently lack information and tools that are most intuitive to citizens. So it’s pretty easy to say that if we really want to encourage citizen engagement through the web, we need to make simple and accessible tools for citizens to use. And to do this, we need to understand how people actually use the internet. NationBuilder represents the solution to many of these problems. Simply put, it’s all about making government not just accessible to citizens, but actively appealing. And this involves creating attractive tools and services that understand both how people interact with the web and how they exist within their communities. Facebook is the most prevalent social network of our time, with over 1 billion active users encompassing nearly all demographics. More than anything else, people understand how Facebook operates; they know the interface and how to use it. So NationBuilder takes the sensible step of applying Facebook logic to government and citizen engagement. If we design such that people can engage using methods that they’re already familiar with, we can encourage new levels of participation. For our project Inside District 9, we worked with the local council member and staff of District 9 in Long Beach, California to create an online community hub for citizens, rather than a simple councilor website. Through this collaboration, we developed a web-based system that replicated the kind of grassroots, neighbourhood-based models of engagement that already existed in those communities. How did we do it? Simple: by making things easy and understandable. With Inside District 9, we took astoundingly simple concepts of citizen engagement and made astoundingly simple tools to facilitate that process. For example, do you have a local issue that needs addressing? Then click the big “Report a local concern” button on the home page, write down the issue and your contact info on the form, and press Submit. And that’s it! That issue is sent directly to the District 9 Chief of Staff, who can then categorize it and assign it to the appropriate staff member. This is what government needs to be – simple, responsive, and accessible. But it’s also about acknowledging that citizens largely exist outside of the web context. If we want community interest and engagement to translate over to the digital sphere, we need to build tools and services that serve as extensions of existing activities and identities. With Inside District 9, in addition to allowing citizens to create personal profiles that allow them to follow the activities and updates of their neighbours through a Facebook-style newsfeed, they can select their particular neighbourhood for access to more localized news and events. We also worked hard to incorporate the grassroots activities of District 9. For example, reflecting an existing practice where engaged community members are recruited/trained to become “District Captains” for their area, we incorporated a “Become a District Captain” section to the site where people can fill out their information to volunteer for these roles. Now, just as easily as people can report a local issue, they can volunteer to be more active and engaged members of their communities. These are just a few of examples of us working to bridge the gap between the community and its web manifestation. Our goal is simply to make tools that are easy and attractive for people to use, and specific to their needs. When a citizen looks at the Inside District 9 website, they should see their community and their issues reflected back to them. If we can do that, we instantly make it that much easier to get them engaged. It’s this kind of integration and implementation that truly represents the next evolution of community responsiveness and organizing. Creating digital counterparts to the community organizing strategies and activities that are already used to engage citizens represents an important means of capturing and engaging wider swaths of people. In turn, we can create more practical and responsive governments.